Tomorrow’s cars could have a feature that will reduce wind drag and allow them to go faster: smart, morphing skins that form dimples or go smooth on command. It is all part of a growing field of mechanics that seeks to make surfaces “smart”, and it is being considered for everything from increasing aerodynamics to reducing the damage caused by hurricanes and high winds. The research comes from MIT, where engineers have developed a smart curved surface that can morph at will to reduce drag. Known as a “smorph” (short for smart morphable surface), they were able to get their creation to wrinkle into a dimpled pattern similar to a golf ball’s, with similar aerodynamic properties. In short, when the smorph wrinkles, it is able to travel faster than if it were smooth. Scientists and golfers alike have long known that the dimples on the surface of a golf ball allow it to drastically reduce drag and travel much farther than would otherwise be possible. This happens because the small dents hold the airflow near the surface of ball for a longer time. This reduces the size of the wake, or zone of turbulence, as the ball takes off. However, the mechanics employed here are a bit more complex. In recent years, in-depth aerodynamic studies have shown that the dimples reduce drag only at lower speeds. As you move toward faster speeds, the advantage of irregularities disappears and a smooth surface becomes the best way to minimize the wake. Now, researchers at MIT have married the best of both worlds by developing a surface that can it’s smoothness on the fly to maximize aerodynamic efficiency at all speeds. The smorph manages to change its shape by changing the balance between its materials. Basically, an empty core is surrounded by two different polymers. One is thick and squishy, while the outermost layer is stiff skin. As the volume of a the inner layer is reduced by sucking air out of its hollow core, the core shrinks. The squishy layer is soft enough to contract smoothly, but the skin is forced to wrinkle. The trick is controlling exactly how a smorph wrinkles. Because the dimples look so much like those on a golf ball’s surface, the researchers were inspired to test their creation in a wind tunnel. Sure enough, when the researchers tested the smorph in a wind tunnel, they found that it was about twice as aerodynamically efficient when dimpled. But the sheath of vortices only form at relatively low speeds, and then convert back to a smooth surface at higher speeds in order to maintain aerodynamic velocity. This is where smorphs could offer a huge advantage. 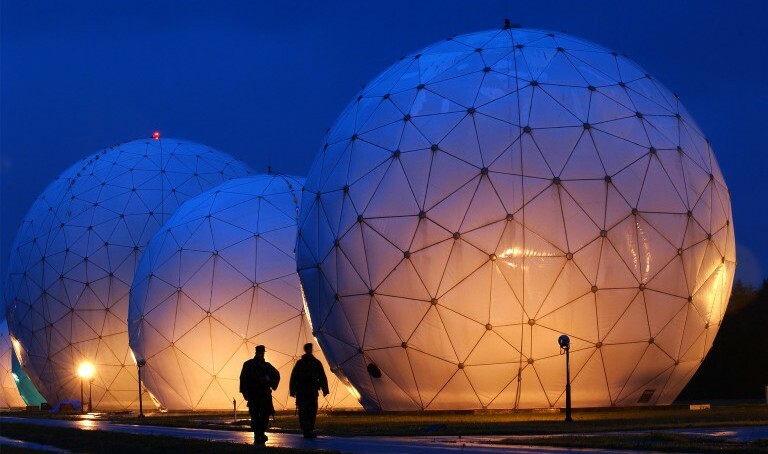 By being able to morph to control drag, they could be especially useful in building structures that won’t collapse or incur significant damage when facing very high winds – one example being the so-called radomes, the spherical, weatherproof domes that enclose radar antennas. The researchers also say that the materials could also be used to minimize drag in cars in order to maximize fuel efficiency. Earlier this year, Reis won an NSF grant to keep developing smorphs, which he hopes to someday scale up to use on cars, aircraft, and even buildings. There are some issues to overcome before this happens though, such as the fact that hexagonal dimples are unstable on flat surfaces. So far smorphs have only been used on a round, ball shape, but Reis and his co-authors believe they can figure out how to reproduce the pattern on slightly curved surfaces. Alongside such concepts as morphing wings and self-adjusting and reconfigurable robots, the creation of surfaces that can change shape in order to better accommodate airflow, or be optimal for different tasks, is part of the manufacturing revolution that seeks to replace rigid structures and products with something that can adapt, flow and transform depending on what is being asked of it. Have you heard about plastic that “repairs” itself when damaged?